Billy Graham was Josh's #9 pick in dp04 for no points. Billy Graham was Greg's #10 pick in dp04 for no points. 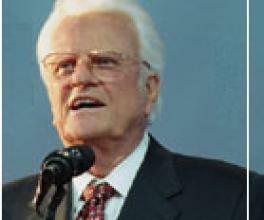 Billy Graham was Bill's #3 pick in dp04 for no points. Billy Graham was John's #9 pick in dp04 for no points. Billy Graham was Andrew's #3 pick in dp04 for no points. Billy Graham was Doug's #1 pick in dp06 for no points. Billy Graham was Andrew's #7 pick in dp07 for no points. Billy Graham was Brian's #1 pick in dp08 for no points. Billy Graham was Andrew's #2 pick in dp09 for no points. Billy Graham was John's #6 pick in dp10 for no points. Billy Graham was Bill's #3 pick in dp11 for no points. Billy Graham was John's #5 pick in dp12 for no points. Billy Graham was Stacey's #3 pick in dp16 for no points.